The extreme openness was a tactical decision. Yes, there are minor headaches -- noise is an occasional issue, as is the lack of privacy -- but for an early stage startup where workflow depends on collaboration, it’s the only layout that made sense, says Prum. In fact, the company’s open design plan inspired its latest project: ¡Buenos Nachos!, a hipster-chic Nacho cookbook. Prum and Williams had initially discussed the idea but weren’t sold on its potential. Their eavesdropping colleagues, however, were into it from the beginning. “People turned around and started generating a bunch of ideas for people we could reach out to for recipes,” Prum says. The book -- which includes 50 recipes from famous chefs and celebrities -- will come out later this year. 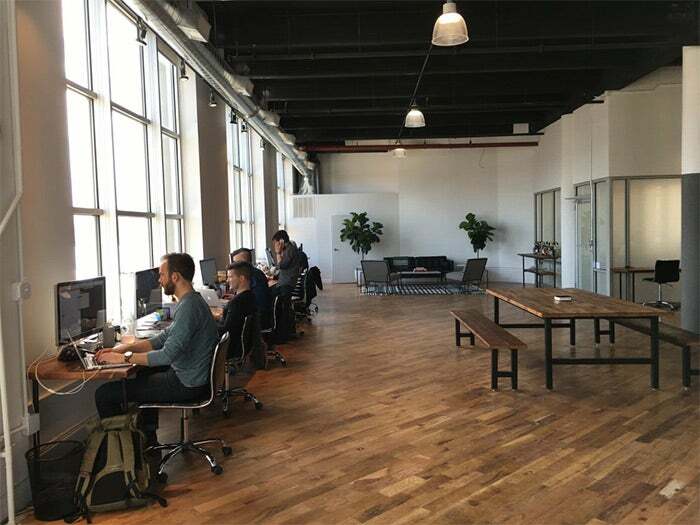 W&P’s open-plan office in Greenpoint, Brooklyn. There are no hanging pods or virtual reality work stations -- instead, the office of the future looks an awful lot like an amalgamation of offices past, with some important tweaks. The next-generation office combines private offices, cubicle banks and truly open floor plans (in which even cubicle dividers are dismantled) as well as communal areas and sound-proof rooms where employees can go to concentrate on solo work. That last part appears to be of increasing importance -- a study by the architecture and design firm Gensler found that workers in 2013 spent 54 percent of their time on work requiring individual focus, up from 48 percent in 2008. “I’m not at my assigned desk that often anymore — I’m getting work done outside a conference room or taking calls in a phone booth,” says Holly Honig, a senior manager at corporate furniture manufacturer Herman Miller. Honig often works from her laptop at the coffee bar or spacious lounge because “it’s much more energetic -- the buzz and energy makes it a desirable place to be.” When she needs to focus or make a call, she returns to her desk or uses a focus room. The cubicle is still the backbone of the modern office. 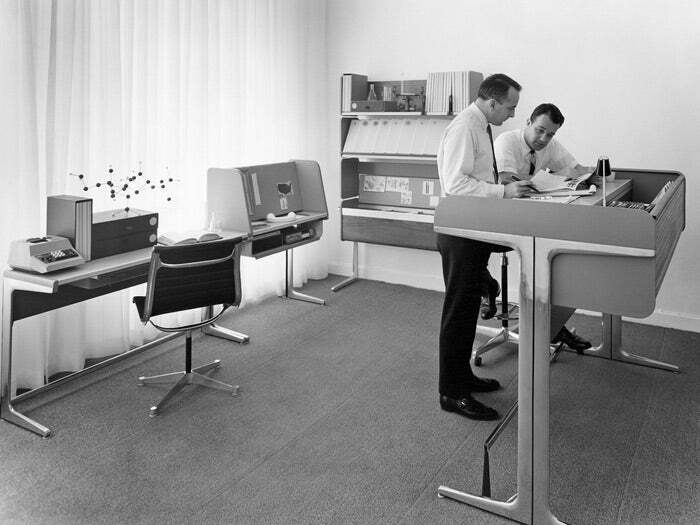 Invented by Herman Miller chief executive Robert Propst in 1964, it was created as an antidote to the open-office floor plans of the 1950s, where junior-level employees lacked any semblance of privacy. Made from high-quality panels, it included a range of moveable components so employees could choose to stand or sit as they worked. The goal wasn’t confinement, but liberation -- by giving workers privacy, their own space, and the flexibility and autonomy to change postures throughout the day, Propst hoped to set them free. His creation -- which he called the “action office” -- may have been built to deliver a more human sense of work, but companies, concerned with their bottom lines, had other ideas. As competitors began selling knock-off versions, Propst’s vision was downgraded in size and quality, morphing into the rows of drab, grey boxes found in corporate parks across the country. In the early 1980s as personal computer sales exploded, cubicle sales closely followed suit. 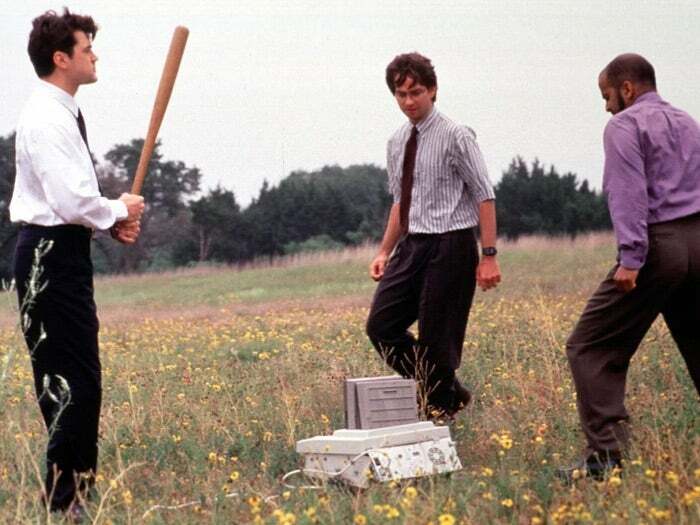 Despite Propst’s intentions, by the 1990s the cubicle -- whose bleak confinement is expertly portrayed in the 1999 sleeper hit Office Space -- had become a trap. Workers wanted out, which made it easy for companies to tear down the walls entirely. Ironically, it was a return to the 1950s-style open plan that Propst had originally tried to escape. A premium is placed on mobility. Space may be tight -- 250 people work out of the 30,000-square foot office, which means each person has a below-average 120 feet of personal space, including common areas -- but employees are given the autonomy to use it however best suits their task and mood. Frequently this means getting creative (storage closets occasionally double as conference rooms) and sometimes it means leaving the building altogether. 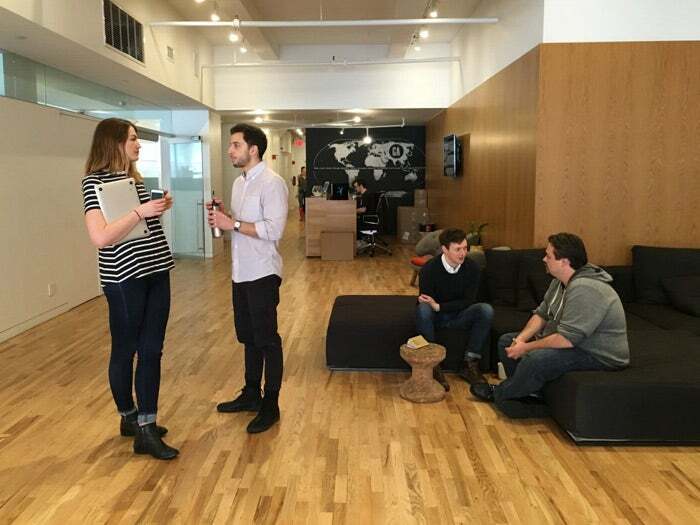 “My favorite meetings are walking meetings,” says Anna Lindow, the company’s general manager. Allison Down, a talent director at General Assembly, in the company’s lounge area. Such flexibility, however, tends to dissolve the distinction between work and personal life. Mobile technology, which allows employees to dictate their own workspaces, also eliminates a clear endpoint to the work day. Increasingly, managers require employees to be accessible at all hours. In a survey from the American Psychological Association, over 50 percent of U.S. workers said they regularly check their email before work, after work and on weekends. The modern “office” has become a nebulous concept, one that extends to the coffee shop, the couch, the bed -- or anywhere else with an internet connection.